At Hydrogeological Consultants Ltd. (HCL), health and safety are company-wide responsibilities. From our safety department to our company leaders; from junior employees to partners and subcontractors, we are committed to safety. Our culture of continual improvement means we are always striving to improve our practices at every level. Training (e.g. First Aid, H2S Alive, Confined Space Training, WHMIS, TDG, Defensive Driving). 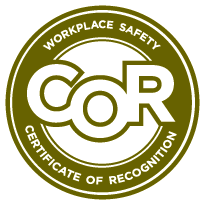 Training & safety meetings - regular documented meetings dedicated to safety issues. Safe Work Plans - generic and project specific. Safety is further enhanced through automated equipment and specialized personal protective equipment.